Take your right hand and place it onto your left shoulder. Take your left hand and place it onto your right shoulder. Squeeze as hard as you can. I hope you enjoyed your hug. I’m a hugger. I love receiving hugs, and I especially love giving hugs. If I knew I wouldn’t be arrested, I’d give hugs to complete strangers. I am the type of person who pronounces to someone that I’m a hugger, go to that person and wrap my arms around them, often time neglecting to ask them if the feeling was mutual. Even if they tell me that they don’t want a hug, I tend to ignore them and give them one anyway. As a good friend said to me once, “a hug allows to people’s hearts to greet each other.” And she’s right. Because if you’re hugging facing each other, your hearts align perfectly, and if you’re hugging by one person standing behind another, they still align perfectly. There something quite powerful about a hug that can’t be replicated elsewhere. As humans, we have a basic need for touch and safety. That’s why hospitals now have a new born baby placed on it’s mother’s chest within moments of being born. What does the mother instinctively do? She hugs the baby, to make sure it feels loved and safe. 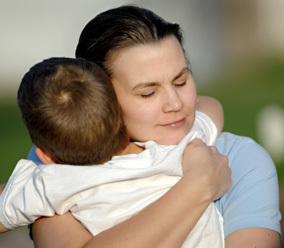 A hug allows for your basic needs to be met. At that very moment, when you’re in an embrace, you’re safe in that person’s arms, you’re feeling loved and the world stands still for a while. 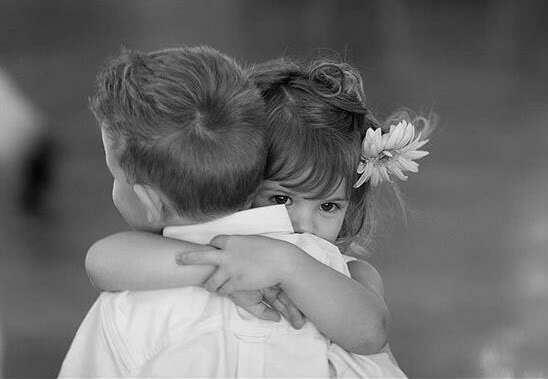 A hug also breaks down the barriers in a way that words can’t do. It’s a time for bonding and comfort. I remember one of my earliest memories of being hugged. It was with my Dad and I was sitting on my little duckmobile. He had his arms around me. I have a picture of that moment, and still can remember being hugged by him. I felt safe and loved. A hug is a great way to salute a new person we meet. It shows that you really care that they are with you at that moment, and that they are welcome. It’s telling them that they are important. Without hugs, we struggle. We feel alone, isolated. We feel that we don’t belong. We try to convince ourselves that we don’t need a hug, we can do without. But really think about it, is that true? Yesterday I went to watch Hope Springs starring Meryl Streep and Tommy Lee Jones. It’s a great movie about a devoted couple who have been married for over 30 years, but have lost the connection in their marriage. The movie is about their visit to a couples therapist, and their attempts to reignite the spark in their marriage. This movie brought back painful memories from the past for me. I saw many similarities from my past marriage in that movie. Even though it was difficult at times to watch, I still think it was a great movie, and I suggest that everyone see it. Everyone can benefit from it. What really stung the most was the main character’s longing to be hugged. She so desperately wanted a hug. The marriage had gotten so bad that although they both longed for touch, it was at the point that their pride got in the way and prevented them from doing a basic act. One of the basic exercises the therapist had them do was to hug each other, and they struggled with it. They had become strangers. Why do we pride get in our way? Are we willing to let the relationship deteriorate. Rather than reaching out to the person that you love, we retreate inward. People who love you, that’s what they should do, love you when you’re not so lovable, and hug you. If you’re angry at someone, hug that person. It’s even more of a reason to do it. It will be hard to do, because you’re angry. But do it anyway. And when you hug them, really mean it, don’t hug them with no feeling. Use your strength. A fake hug can easily be felt and will only make matters worse. It shows the other person that even though you are angry, you still love them. And that makes them feel important, loved and safe. We do that easily with children, so why can’t we do this with adults? Think back to your last hug. I remember mine. I was asked if I wanted a hug, and I immediately said yes. I felt arms come around me and give me a gigantic hug. The warm simple pleasure of human contact felt wonderful, and for the first time in a long time, I actually felt good. I felt safe and that everything would be ok.
Now I need to ask you a favour, play that hug I gave forward. Show someone else how much you care for them. Give them a hug.